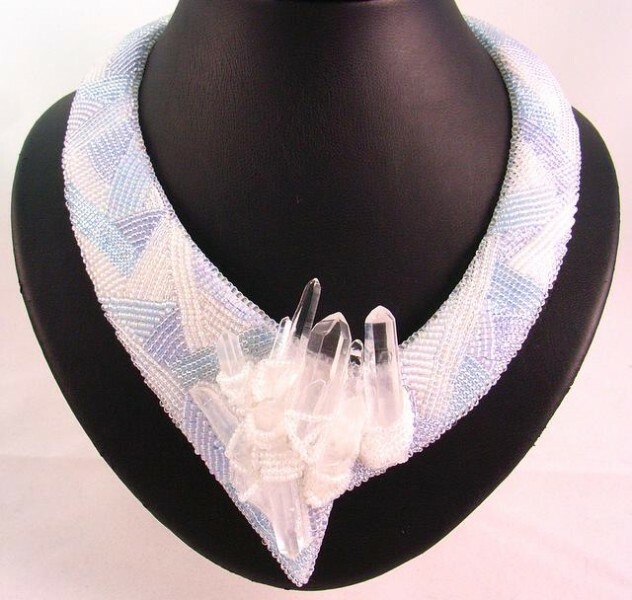 “Crystalline” was created for the Art Award Winners Exhibition at Goulburn Regional Art Gallery (NSW, Australia) in December 2010. 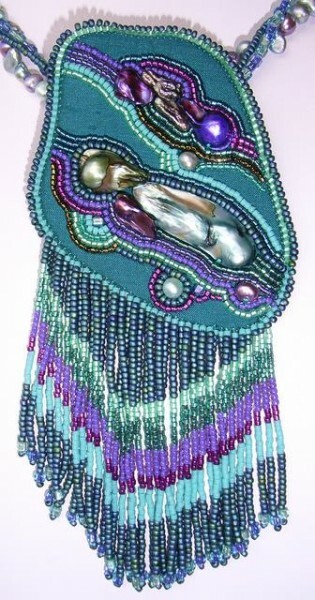 “Turquoise Treasure” has won several awards, including the Grand Champion Craft Exhibit at the Royal Canberra Show, 2009. 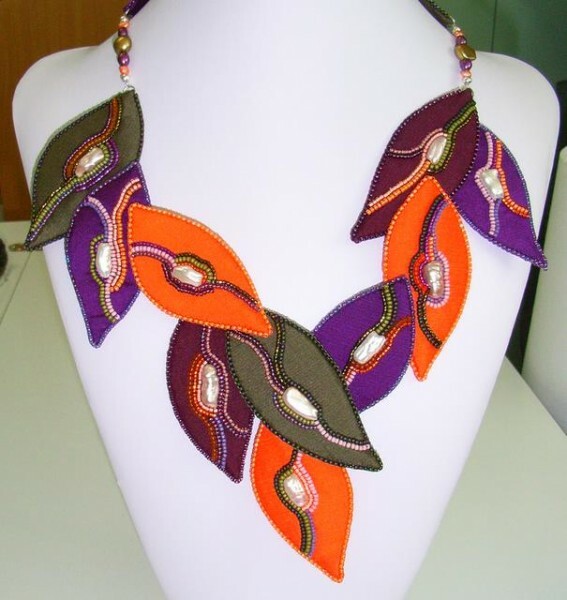 Private collection, Braidwood, NSW. 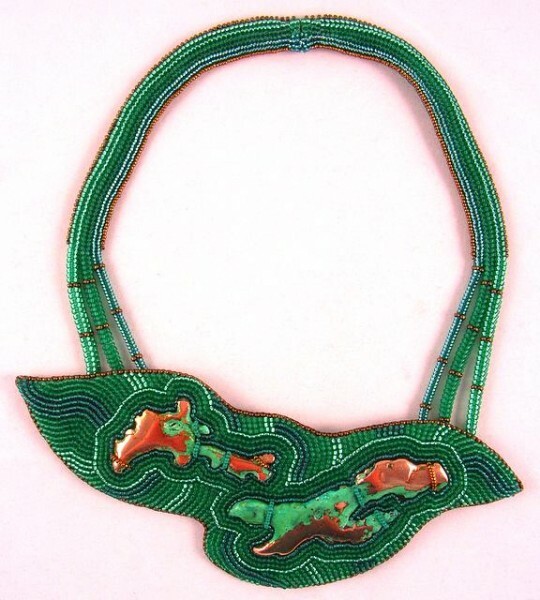 “Copper Splash” was created for the Art Award Winners Exhibition at Goulburn Regional Art Gallery (NSW, Australia) in December 2010. 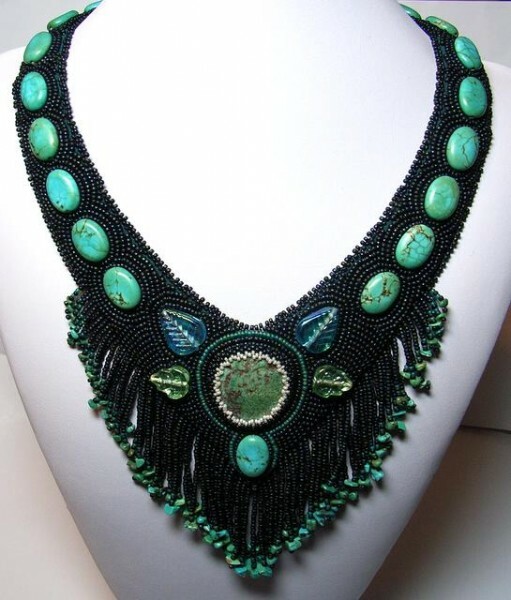 It features two pieces of natural copper (which have been treated to give shiny copper and green oxidised areas). 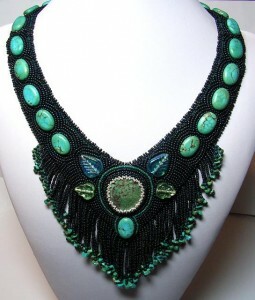 “Nature’s Treasures” was my first beaded neckpiece. 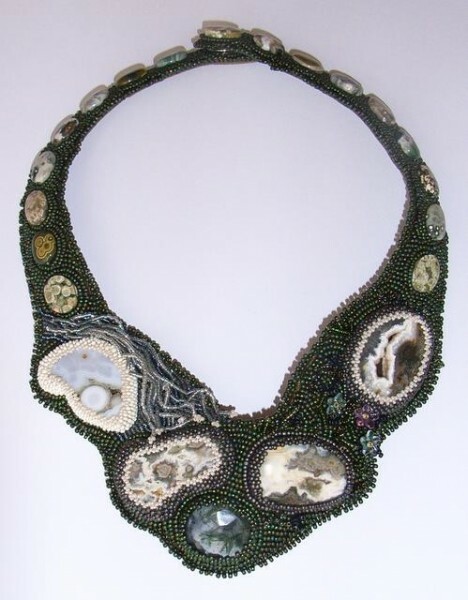 It features some beautiful freeform ocean jasper beads. It has won several awards, including joint first prize in the 3D category of the 2009 Goulburn Art Award. “Cool Ripples” necklace features freshwater pearls and Japanese seed beads stitched onto silk. “Autumn Splendour” necklace features separate embellished leaf shapes which have been stitched together during the construction phase of the necklace. 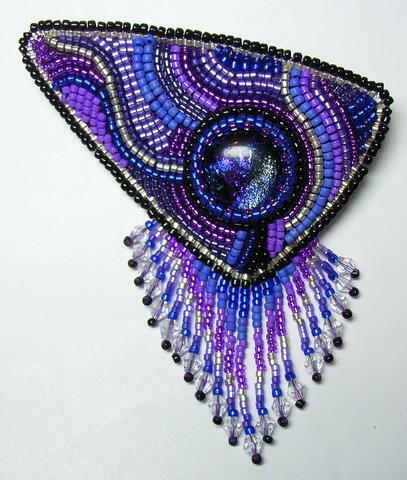 “Beaded Treasure Brooch” – in this brooch the fabric at the front is completely covered with beadwork, predominantly bead couching and peyote stitched bezel around the dichroic glass cabochon. 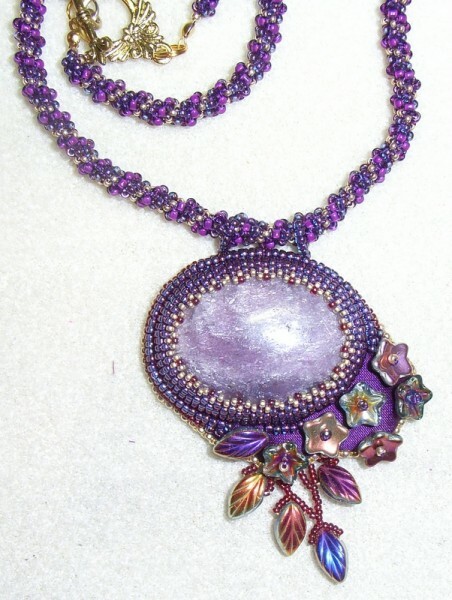 “Hanging Garden Pendant” – stitched onto silk, using Japanese seed beads and Czech glass flower and leaf beads. The cabochon is held in place with a peyote stitch beaded bezel.